For Christmas this year I wanted to make everyone a shirt with our names on it. 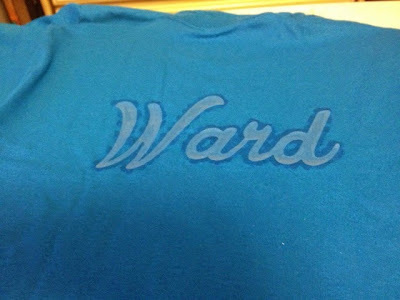 On the front I put everyone's first name and on the back I did our last name. 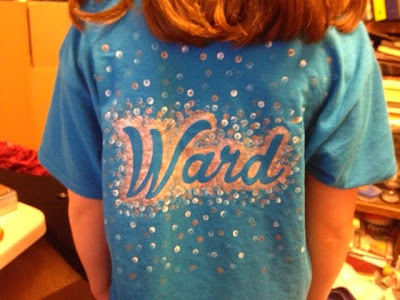 I called this a star burst shirt because, to me, it looks like a star burst around our names. 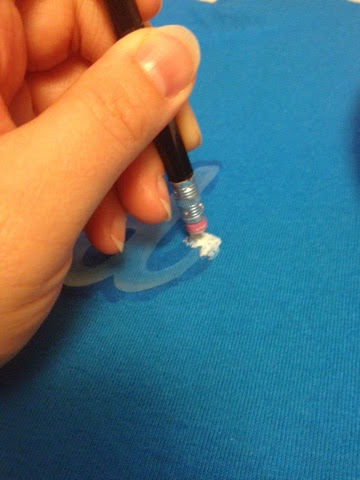 After peeling the backing off I stuck it on the shirt where I wanted it. I wanted to make sure the edges were completely covered. 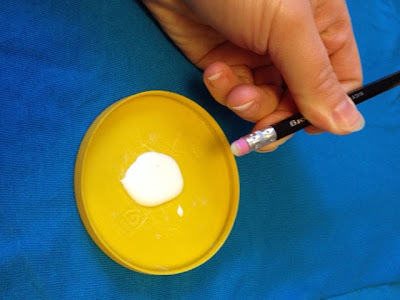 Here you can see it covered in the glue. I made sure to get inside of the a d also. 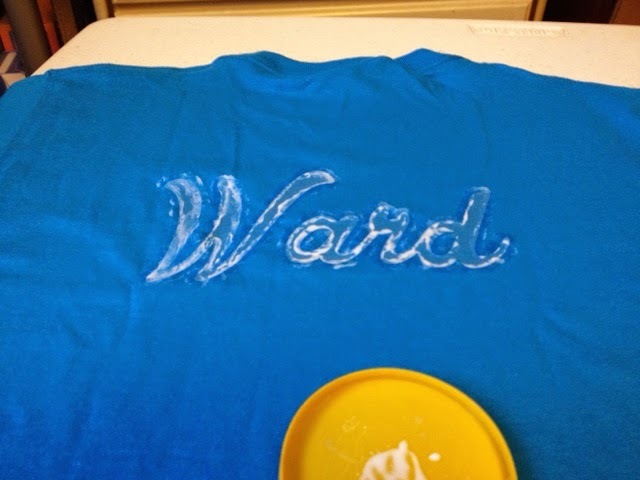 Once the glue was dry I went on to the next step. 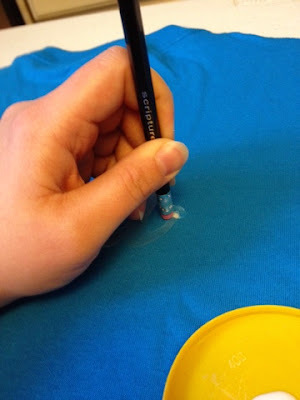 You need at least two different colors of fabric paint. 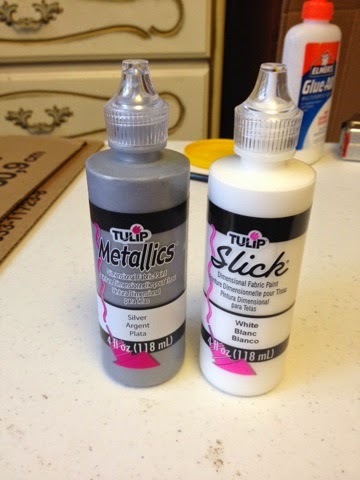 I chose a slick white and a metallic silver fabric paints. The metallic paint is a little thinner consistency and I found that it lets some of the white show through so it worked great to start with the white paint. 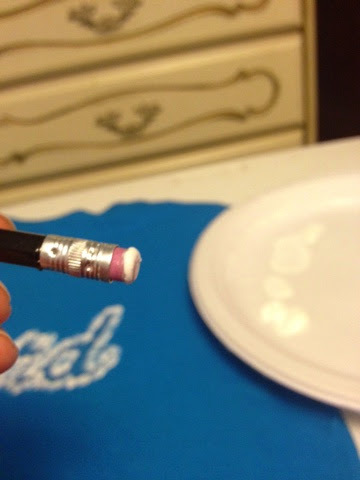 Using the same technique as with the glue I use the eraser side of the pencil and dipped it into the paint and started dabbing it around the edge of my last name. 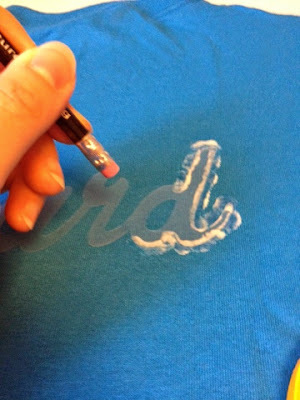 Here is a short video clip on how to dot with the paint. Sorry for the loud humming noise. I had my little space heater on warming up my feet. 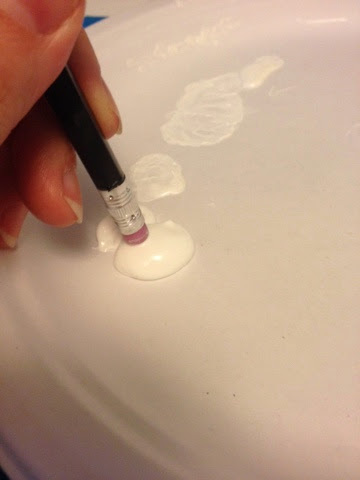 From time to time the paint built up around the edge of the eraser and I needed to wipe it off to continue to get clean edged dots. Other wise it made sort of a splattered dot. 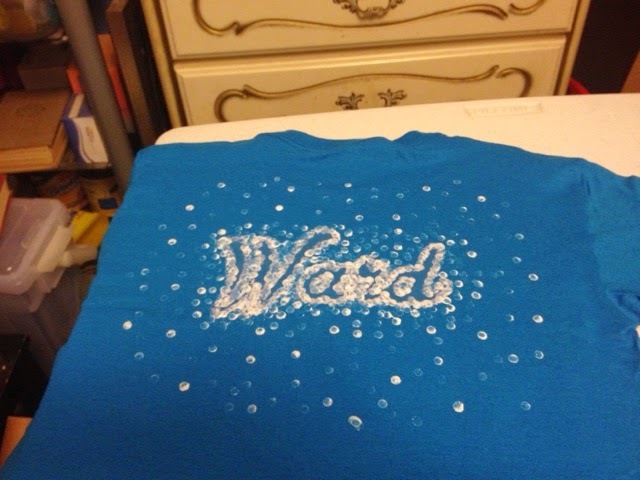 Once I completely cover the edges of my name I filled in all around working my way out in a star burst pattern. I filled in any spaces using a lot of dots around the name then spacing them out as I went further out. 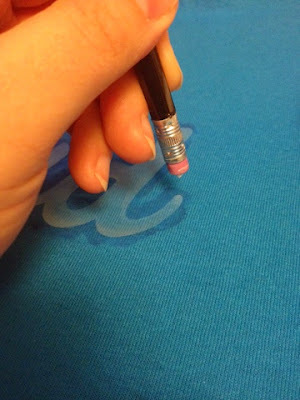 Remember you will be adding in a second color so you will want to leave space for that. 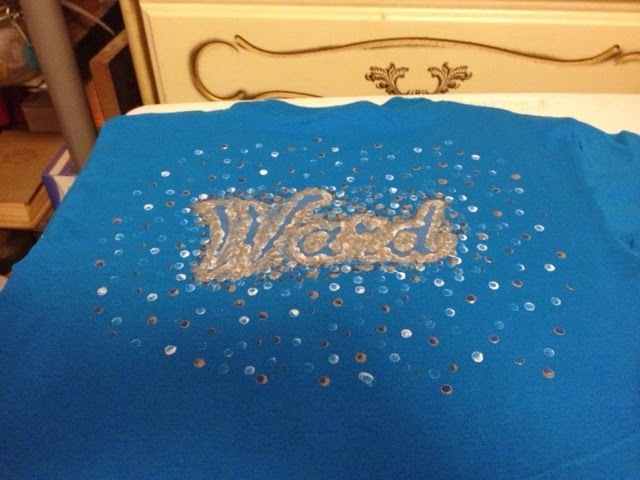 When my first color finished drying I filled in with my second color. I did same thing as I did for the first by going over around the edges of the name going right on top of the first color and then spacing them out as I got further out from the name. 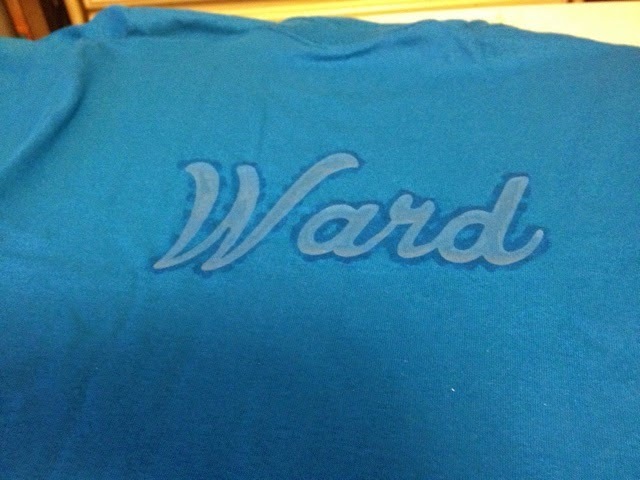 Once that dried I peeled away the contact paper and my name came out crisp and clean. You can use this technique with all kinds of things. Names, shapes, sports logos.... you are only limited by you imagination. If you have any questions or need me to clarify anything please let me know. Do you have a lot of pictures sitting on your phone? I have always been bad about remembering to take pictures. 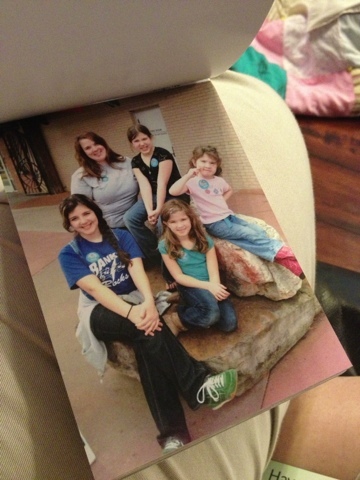 Sadly there are not many pictures of my oldest kids growing up because I never remembered to grab the camera. If you were like me I know you understand. In this day and time of wonderful technology no one (even me) has that excuse anymore. My cell phone probably has a better camera than my actual camera does. The problem now is I have all these pictures just sitting on my phone. Well I think I found a service that will help me get those pictures off of my phone and have them where we all can look through them. The pictures are perforated so that you can easily remove them and the quality is very good. The most exciting thing about this is the price. The service is just $2.99 a month. That's it. 100 pictures for just $2.99!!! That includes shipping. Here is a little video explaining how it works. 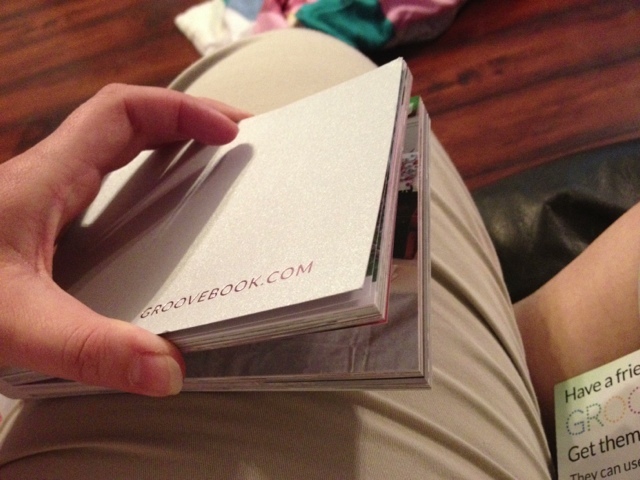 Want to try your first GrooveBook for free? 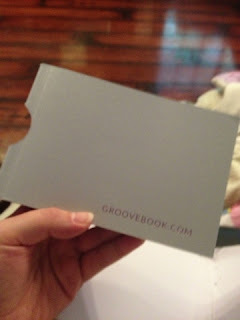 Go to www.groovebook.com and download the app. 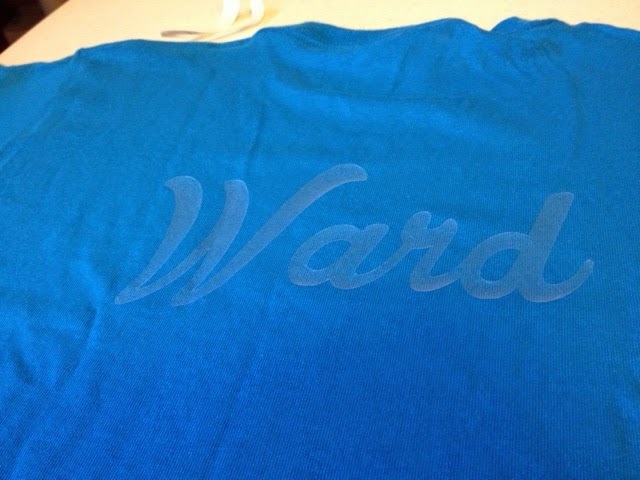 Follow the signup instructions and enter promo code WARD117 at checkout. Once you upload your pictures you will have them in the mail in about 7 - 10 days. Try it out. See how you like it. If you are not as impressed as I am then you can cancel anytime with no obligations. I hope to get back to blogging frequently but I wanted to take a min. 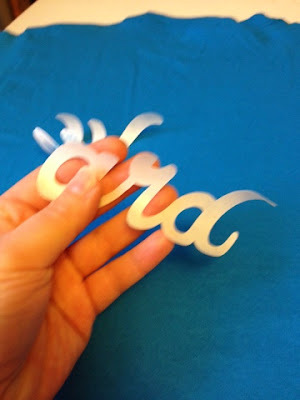 and let you know that I finally have created a facebook page for my quilled letters. 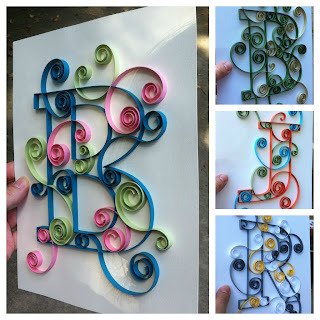 I am almost have 100 likes and I am having a giveaway for an 8x10 letter when I do reach 100 likes ($20 retail value). So go on over and check out my page and share with your friends. www.facebook.com/allthingsmadebykelly. In the photo section you can see samples of what I have done for previous customers, some that I have pre-made and ready to ship out to you, and you can also see all the colors you have to chose from. Here are some examples of what you can win. Update: Well that went way quicker than I thought it would. We have already reached 100 likes and a winner was chosen. But don't worry. I plan on doing another giveaway when we get to 200 likes so go ahead and get your like in soon or you might miss it.